Regional products are an expression of the affinity people feel with their home region. They identify with authentic, natural foods, many of which have been made for generations using the finest ingredients, traditional methods and the utmost care. There is growing interest in these kinds of specialities, as people know they can rely on the producers and trust the origin of the products themselves. Westfälischer Pumpernickel (Westphalian pumpernickel) is one such speciality – it is a product that embodies the character of its native region. 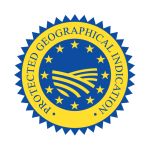 In November 2014, the European Commission acknowledged this by awarding it PGI (protection of geographical indications) certification. 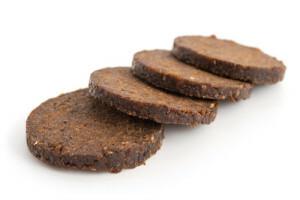 This EU seal of approval now attests to the unique status of Westfälischer Pumpernickel as an official regional speciality and legally protects it from misuse. Consumers across the globe can now rest assured that Westfälischer Pumpernickel (PGI) is made only from the approved ingredients. From preparing the dough through to baking, it is produced within the limits of the region governed by the Landschaftsverband Westfalen-Lippe (Westphalia-Lippe environmental association); no production is carried out in Lippe. When Westphalian pumpernickel is sliced and packaged, this is done by the producer themselves. If shrink-wrapped, it has a shelf life of several months – canned varieties can even last several years. In an increasingly globalised world, Westphalian pumpernickel certainly meets people’s needs with respect to delivering flavours from back home.